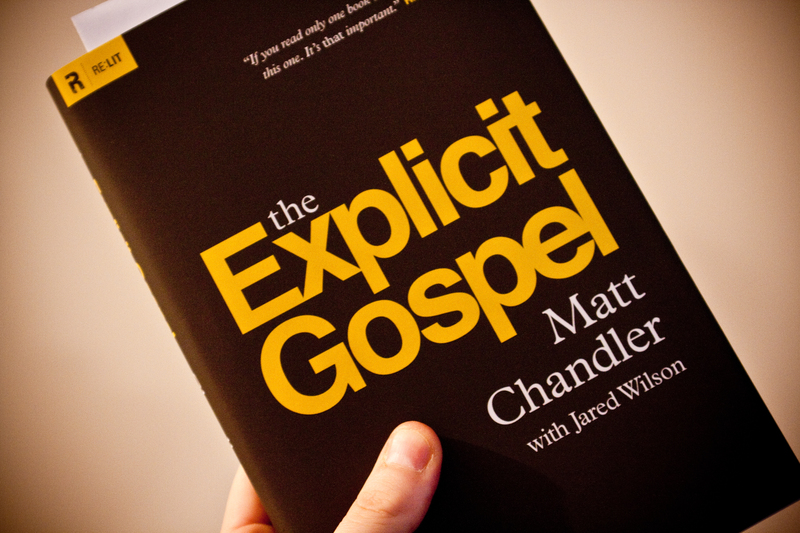 I’ve been reading The Explicit Gospel by Matt Chandler for a couple days now and I love this book. The easy read is solid truth and I wanted to share a little chunk with you. It copied funny from the PDF (which you can get by clicking here), but you’ll still get it. I restrained myself from “bolding” anything, because I want the Spirit to show you what He wants you to see, not what Sophie thought was really important. May God give us grace to see God for who He is. In the end God says, “You keep trying to pay me off with stuff that’s already mine.” Some of us even try to bargain with our lives. We presume upon our service. “I’ll serve you, God!” we say. alternative gospels (Gal. 1:8–9). He owes us nothing. a self-sufficient God whose self-regard is glorious. This entry was posted in Monday Morning Munch. Tagged Book, God, Jesus, Matt Chandler, monday morning munch, quote, The Explicit Gospel, truth. Yep, yep. That’s me. You should consider changing your Monday Morning Munch to Monday Morning Conviction. That was one of the biggest things that hit me as well. Wow. Thank you so much for sharing!! !